The Blogger Recognition Award | Follow the Tumble Lees! Once again, we are so honored! Thank you again, our dear friend, Anand of Blabberwockying. Anand has turned into such an amazing blogger, spreading love and light around the blogosphere! His nickname is “Thinker” and to spend any time in his “comments,” you will see he is a very insightful thinker, willing to share his knowledge, to create beautiful posts and to bring out the best in other bloggers! But what can we say? We drafted a page to say we are now Awards Free….but it was never published. These are such great honors and great ways to really get to know new bloggers, to find new bloggers to follow and to increase the number of followers. Now that I’m (Debbie) taking Blogging 101 (again), we are exposed to lots of new bloggers. And this award is a good one for them! Today is our last day to accept such an award. Just due to time constraints, we just can’t continue with these. But we also can’t resist sharing the love! Yes. There are plenty of other things like this out there. But, in my opinion at least, there can never be too many. Why? Because these little awards are a small gesture of goodwill that have a big impact on the people who receive them. So, when you start thinking these awards are silly, or that they’re just annoying chain letters (they essentially are chain letters, but with a good purpose), remember that they aid in keeping the spirits of bloggers high, and they can also help get them just a little bit more exposure. They’re also great for establishing relationships between blogs and their authors. All in all, these simple pay-it-forward awards do a lot of good for the community. Select 15 other blogs you want to give the award to. (Many modify this and only nominate 5 or so). How did this blog start? We had a story to share, how we divorced and remarried. It was truly a miracle from the Lord! It breaks our heart as we hear of couples divorcing or being miserable. We were there and now we are so grateful after 40 years of being married, to now be together as grandparents to two adorable grandsons. Once our first grandson was about to be born, we had to change our lives to be closer to them. 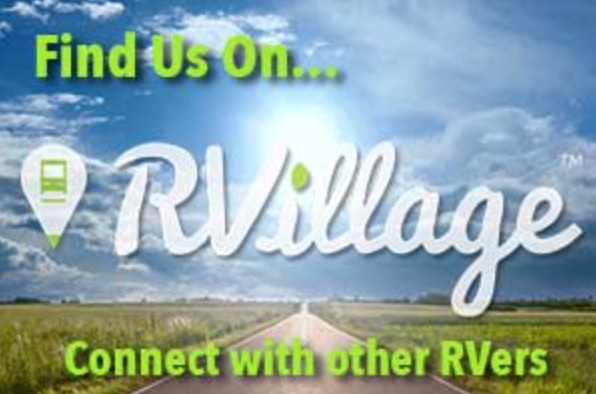 Our solution was to become full-time RVers. And now the blog focuses on our minimalist lifestyle and how we “travel” full-time! Give and you will be given. Don’t hold back words of appreciation and kindness ever. Hesitate to criticise. Don’t judge, we are all fallible and learning from our mistakes. Blogging is socializing. No difference whatsoever. Take a genuine interest in people. Blogs are dead-weights without bloggers. Participate in discussions in comment sections of blogs you like. Address people with names. Participate in discussion forums and give sincere feedback to your fellow friends. If you do this you will neither run dry on inspiration, nor fall short of motivation and support. The Alumni forum is one such forum where active engagement in discussion, feedback and light-hearted chattering happens. Feel free to drop by and join as an author over there! Follow the followers. If someone follows you, they deserve to be followed. With trial and error you will come to know which blogs appeal you more and more. 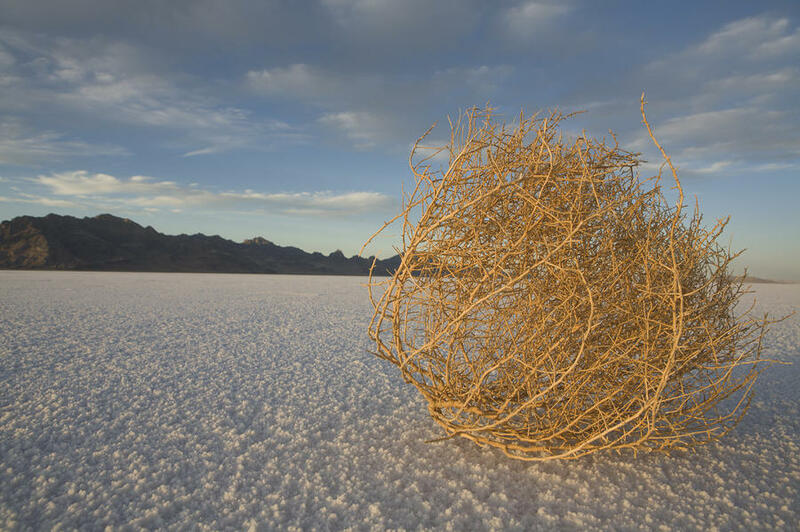 There is no harm in creating a blogosphere where you have lots of followers but a few visitors who comment. Expansion is out of love, contraction is out of fear. Exposure isn’t possible unless you expand! Participate in the Blogging University Courses–especially in the Blogging 101 and you will get to meet many good blogging friends. Blogging and life will become better if you keep interacting actively! Elihus Corner. I may have nominated you before, but I couldn’t confirm this! You are one of my favorite bloggers. You are a daddy to three children, you love your wife, but more than anything, you love our Lord Jesus and you blog to share His influence in your life – to help others know and see Him! Thoughts of a Train Wrecked Pineapple. Carlos is another favorite blogger. I am intrigued by young bloggers and he is young, in college! He is a fabulous writer, thinker and artist! I know him more as the first two….but his training and desire is to be an artist first and foremost, but not without the other two (or 10) talents he has! My Dappled Path is a new blogger I just found, per suggestions on how to find bloggers with similar interests. Her blog is just beautiful! I’m looking forward to getting to know her more as I begin following her! The Truth Lover I don’t remember how I found this blogger. But she/he is like-minded – and very anonymous! This person really wants to focus on our Lord, God, the Creator of the Universe, our Savior, Jesus. This is one blogger I try to never miss a post reading. The Bottom of a Bottle This is another blogger I somehow stumbled upon. I love his testimony and his dedication to his Deliverer! I just love it when someone hits rock bottom, at the bottom of the bottle in this case, and then RISE up to learn to LIVE! Hallelujah! This is an inspiring and talented blogger! He has something for everyone! What have we done now! Such an interesting couple from two small towns in the heart of Alaska. They have a desire to travel and see new things as well as taste really new, and sometimes weird, things! They’ve been to at least 21 countries. Check out their blog and join their amazing adventures. Deeper Roots. I recently started following Beth’s blog. She is another person who has the same passion for the Bible, for God’s Word. After she retired from 30 years in church administration to now attending seminary and devoting herself to the study of God’s word while she also writes and teaches. Her goal is to grow deeper and stronger roots! Sounds like my kind of journey! Honest Me. This young mom is revealing her inner narrator! I love her honesty and creative writing skills. She has a weekly feature, Tuney Tuesdays. What a treat as she combines music to what is going on! Culturally Curious This is a classmate from the current (November) Blogging 101 course. This naturally curious mom and teacher wants to learn the story about every person she meets as well as the story behind inanimate objects! Like me, she has lived in and traveled quite a bit. Journey to Blessings. Another classmate, David, is all about sharing the blessings of our Lord. I really like his tag line: “Life, its challenges and how we can touch others.” His blog is relatively new, but he seems like a pro. Such a beautiful and polished blog. I look forward to following him. Third Culture Wife. As I move along with my Blogging 101 assignment to visit new blogs, I found this lovely wife! I’m so excited to have spent some time reading her blog. Only to learn something so cool: I’m a TCK! That’s right, it helps explain my wanderlust! She explains about being third cultures, wives, kids, etc. I won’t give away the answer, you’ll have to read her blog! My Travel Middle East. Oh, my, another woman I will learn from. I’m loving the Blogging 101 assignment to try to find new blogs to follow. I’m looking for International Travel posts to reblog on my one blog….so I had to re-blog one of hers! She has fabulous pictures and is really capturing the beauty of the middle east! Party of Five is another blog by a mother! She is a blogging 101 classmate. I love her tag line: “Life at home, in the Woods and wherever we travel ~ it’s always a party of five!” So you can see why this wanderlust would be attracted to her blog. And the mothering part, is the greatest role in the world! Well, after all of this, how could I not want to continue to participate in Blogging Awards? Well, I guess it is time management. So for those of you who wish to decline, I would recommend you post this some place obviously on your blog! And follow Anand’s and my advice, visit other blogs, comment often and encourage comments on your blog! With that said, how about giving me some feedback about this award, as this was a real labor of love, love of the blogosphere! May God bless each and everyone! ← The scoop on Myrtle Beach! 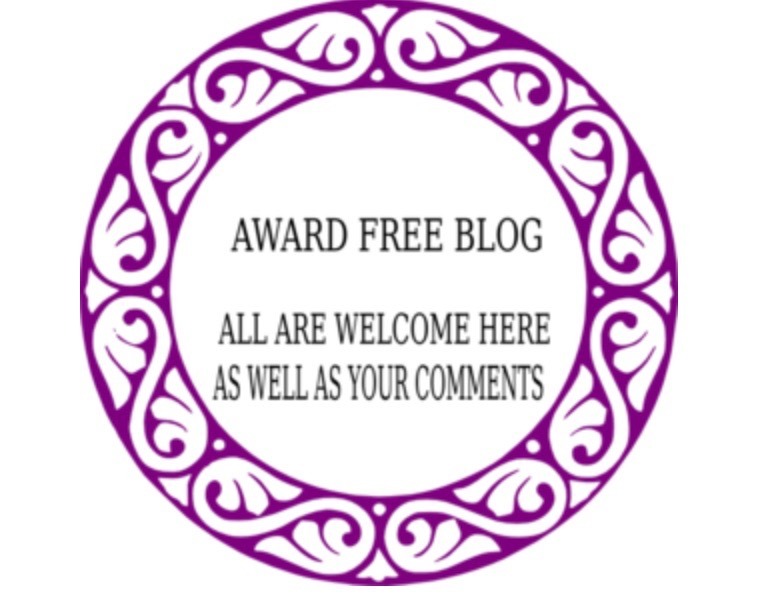 Oh this is the swan song of award posts on your blog! I can’t nominate you now but your award posts were the best ones so far! I enjoy the awards and the responses, but the are so time consuming. This took me three days, on and off to do. Nominating 15 is a bit extreme, but since this is a swan song, decided to do it….by the time I hit 15, I realized there were still more I could do…. I understand. Actually I often reflect at your commitment when you do any posts–not just award posts. You have 1/4th of the time free than I do or maybe lesser but my posts never have that kind of commitment you show. 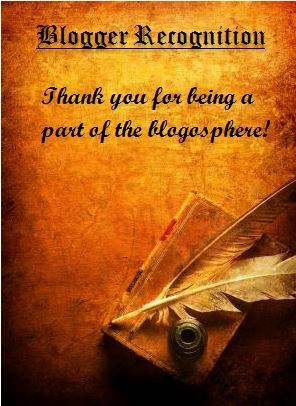 So hats-off to you for being so consistently committed to blogging despite everything and I am sure many bloggers look upto you and adore you! Aw, thank you! I can say I’m really really liking the blogosphere world! And YOU my dear friend, have been so instrumental in spurring me on, challenging me to write more thoughtfully, and for you being part of the Blogging 101 Alumni! I hope we get more to join us from the November class! Thanks for the nomination and kind comments! I am looking forward to exploring other nominated blogs. I’m behind in monitoring my blog! So in case I didn’t already say it, you are welcome! Lol! So then we have to guess!